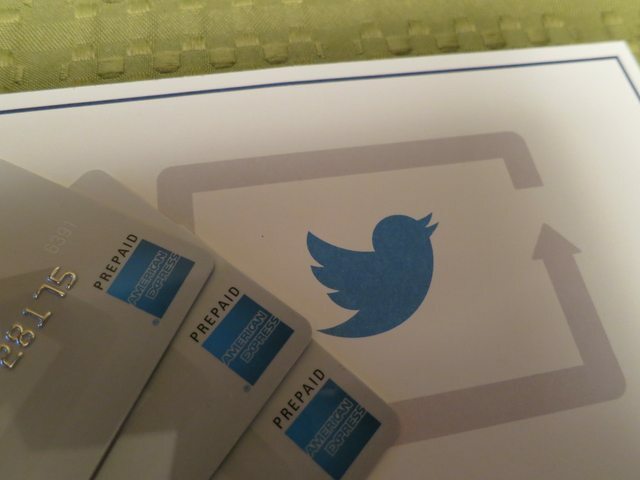 American Express / Twitter Gift Cards Arrived Today!! UPDATE: I came home today and voila! 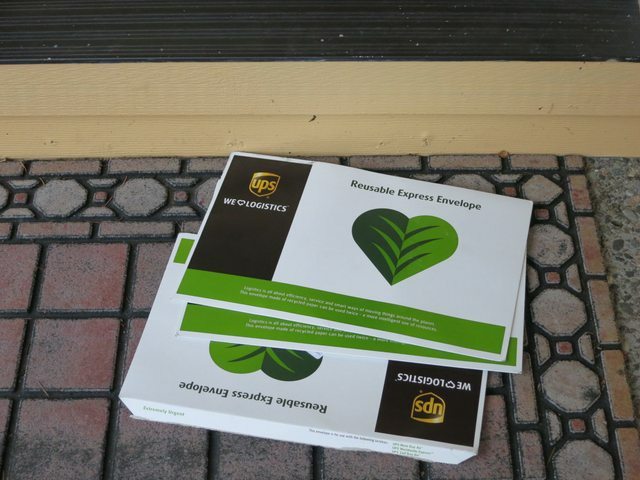 Waiting at my door step were three UPS envelopes, each containing a $25.00 Prepaid American Express gift card. It’s always cool to see a package waiting for you at your door. However, when I opened them, there was a letter inside indicating that I wont be charged for them at all!. Now bear in the mind, the deal was tweet to American Express via Twitter, and you would get a $25.00 prepaid gift card, for $15.00, thus making $10.00 on the deal. Their systems were slammed hard, and there were issues with some folks cards not being processed correctly—including mine. All three of them that I used. Well, the nice folks at AMEX were kind enuff to send out the gift cards, WITHOUT charging my American Express synced cards. $75.00 in FREE money….ya gotta love it! 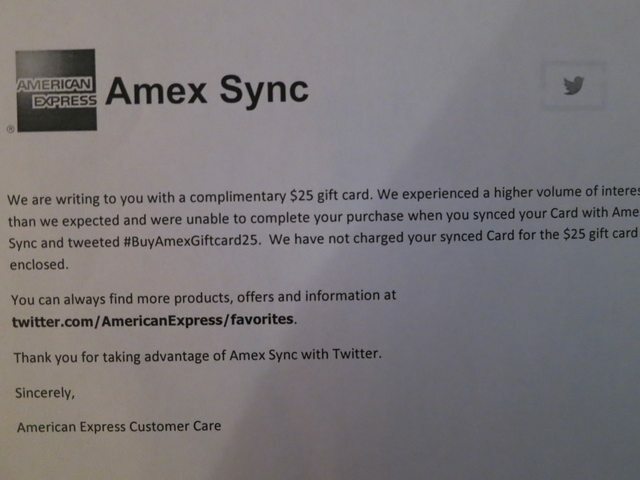 $25 American Express Gift Card for $15 (Twitter Sync Deal) HONORED!! On February 11th, the blogs were being alerted to a deal from American Express and Twitter. The deal was sync your American Express card to your twitter account, and tweet #BuyAmexGiftCard25, and you would receive a $25 gift card, for only $15, thus making $10. Well, I did just that, and kept on getting an error from American Express saying there was an error in processing my information. I immediately tweeted AMEX, and received a response that they will look into it….that was on February 13th. Well today I received a tweet & email saying they will send out a card immediately for me and my card will not be charged! Once again, the lesson of the day kids: be proactive when it comes to points and miles. If you are persistent, you will be rewarded. Hi! We’re following up with #BuyAmexGiftCard25, We processed order courtesy of Amex & will ship out. You will not be charged.